Lol that's cool for him but I wonder when he got them or how? I wonder if he just bought them from his table because he had sketches there and I don't believe he was doing any sketches just signatures. They didn't even allow photography so I dont think anyone got sketches... They had prints available of various pieces of art and movie posters. Paying for those would get a personalized signature. You got 1 free autograph and $10 per item after. I have heard he can be very chatty but they kept the line like a conveyer belt to make sure everyone got through the line in a timely manner. It was still very very awesome to meet him, finally. I did get a picture with George Perez though! And autographs from Greg Capullo, Perez, Joe Benetiz, Chad Hardin, Peter Steigerwald and a couple others. 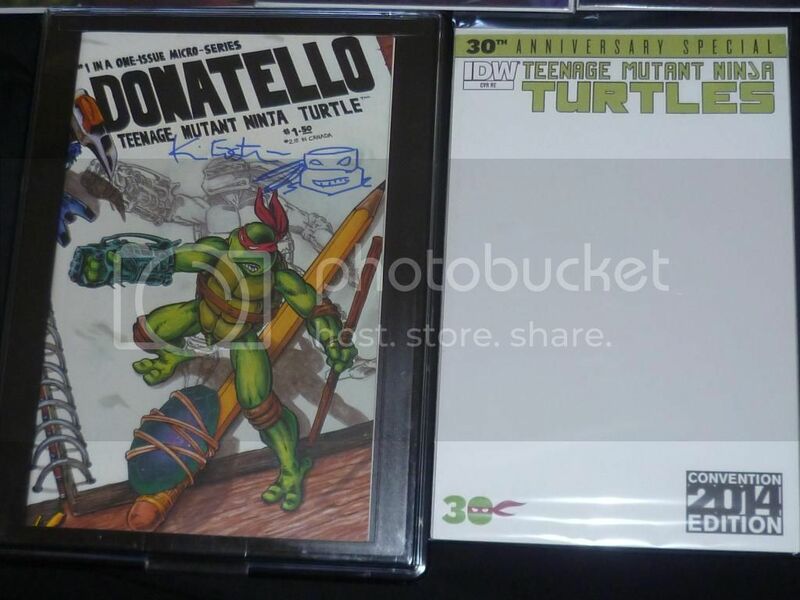 Also, my friend Mike hooked me up with his TMNT covers. And I got the sketch cover for $10... much better than what it sells for on eBay. I'd say those sketches were purchased. Maybe not the shredder, but the other 4. The #1 RID is dated 2014, which sort of raises a flag. The #21 RIB's were definitely signed after the fact. They were most likely done unsigned, then signed at the time of purchase. You get what you pay for and of you're gonna drop some cash with most artist's, they tend to take care of you. The "no photography" sounds like a promoter rule, lame but it's their show. In all honesty, Kevin is a peach and would sign/sketch all day and night. The negative aspects of the show mentioned are probably out of his control. This is only my hypothesis, but if a promoter possibly pays for your airfare, table and room/board, I feel you, as an artist, are obligated to adhere/respect their wishes/protocols. It's been mentioned on this thread as well as others that Kevin has "acted and presented himself" in different manners at different shows. That tells me he's meeting promoter obligations more so and much lesser suffering from a personality disorder. It's a slippery slope to navigate, but his lines at shows where he's known to sketch (SDCC for example) are crazy. If you have a show (as a promoter), most intentions are to make $ first so you can cover costs. That is going to translate into moving the lines as fast as possible and capitalizing on that. Yes, the fees for signatures is a newer protocol by his team, but maybe after years of freebies he's gotten wise to the resellers market (which he's lost considerable $ on), among other aspects of the industry. After 30 years of keeping us happy, doesn't he deserve to change his game up? Really looking forward to this. 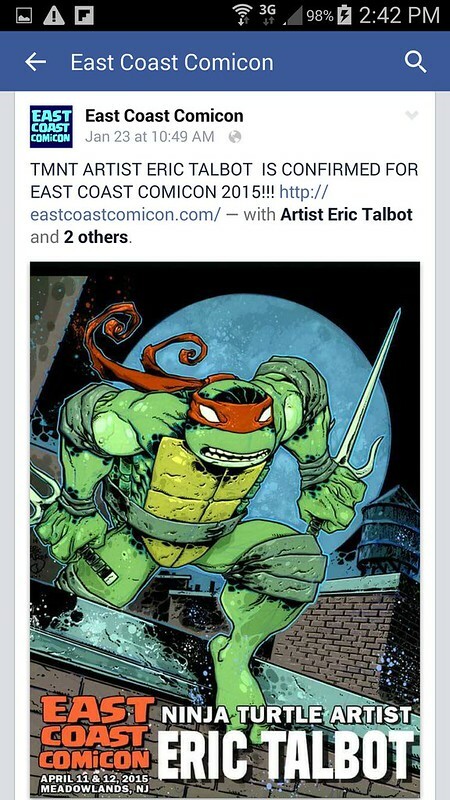 East Coast Comic Con is less than 2 months away! Great show to start con season... They haven't changed the URL, still using last year's. Asbury Park's con was pretty good despite the venue being unusual. They've totally stepped up this year's game! First off I don't plan or didn't plan on selling them, like I said I've tried to get a signature or sketch a couple of times to no avail. 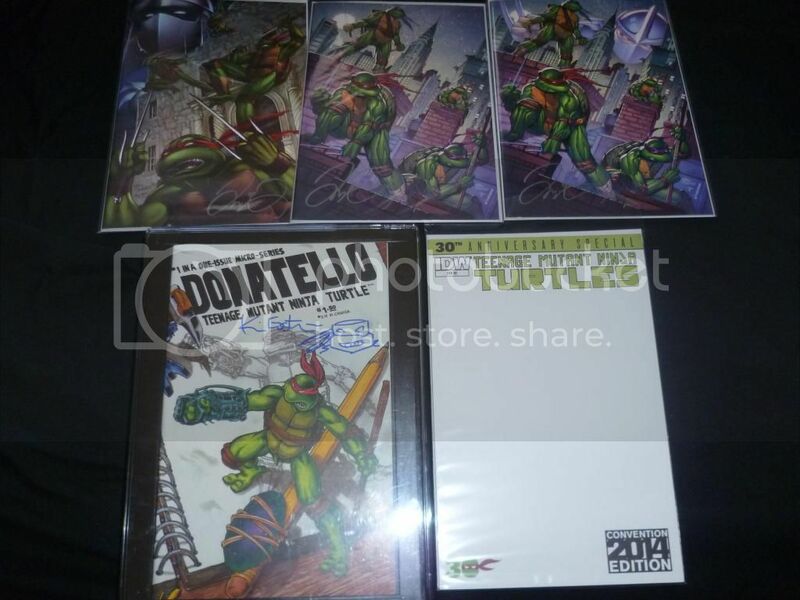 Just being a TMNT fan I've always wanted to get something from the creators you know? 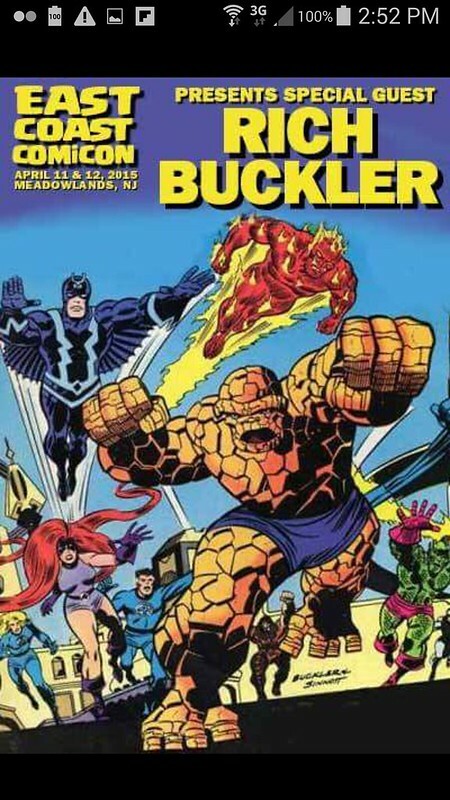 As for the CGC thing, a few yrs ago Stan Lee came to town during a con and did signings and afterwards they had a booth where you paid $5 for a certificate of authenticity. I got a statue signed by him and I bought a COA to display next to it. This is what I was looking to get some sort of COA so I can display it next to my comics. So this time I thought it would be the same way but it wasn't lesson learned, next time tell them ahead of time before even getting in line so they can be there. Cool thanks a lot! I didn't see any of those at his table. 'Yall better wear your cosplay sweaters! Please stop posting nonsense that has nothing to do with the threads or TMNT in general. 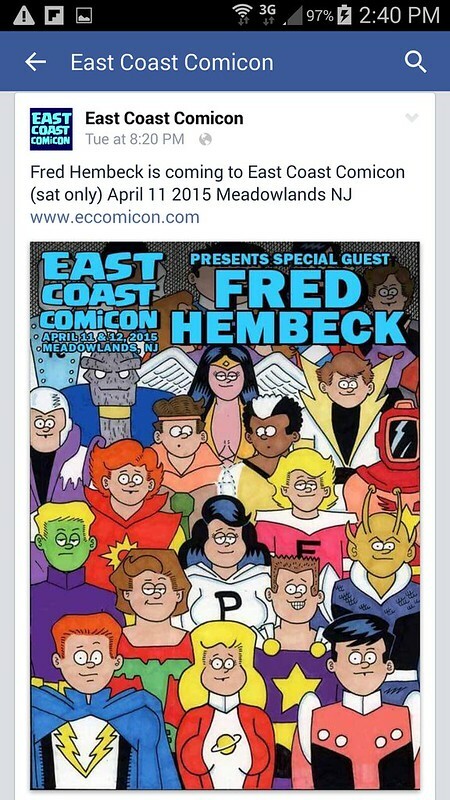 Pedro Lajud and I will have a table at Big Apple Con (NYCBM) on March 7, in New York City. The event starts at 10am, and ends at 6pm. We will be promoting our original comic book miniseries, Spirit Guild. 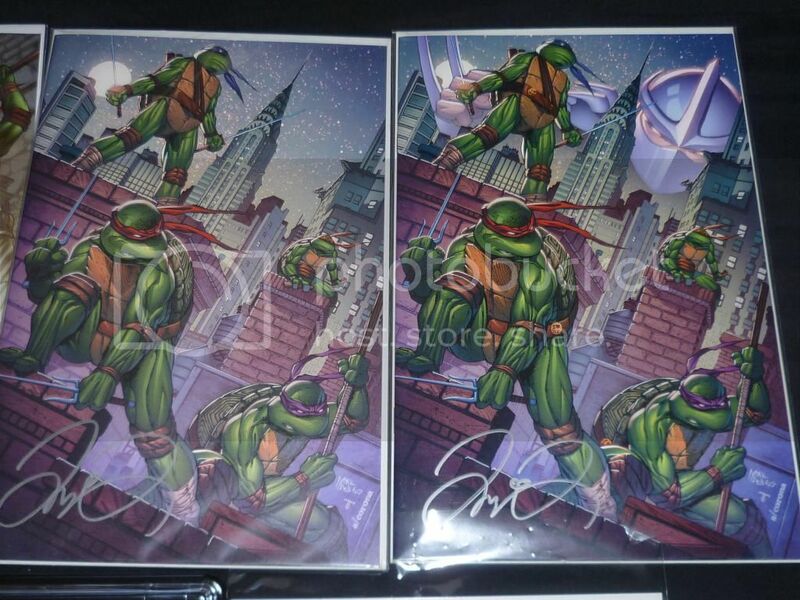 We will also have original art and prints for sale, including TMNT. Pedro will be available for commissions. You can check out Pedro's art at his official DeviantArt page. If you're in the NYC area, come say hi! We'd love to chat with fellow Turtles fans. 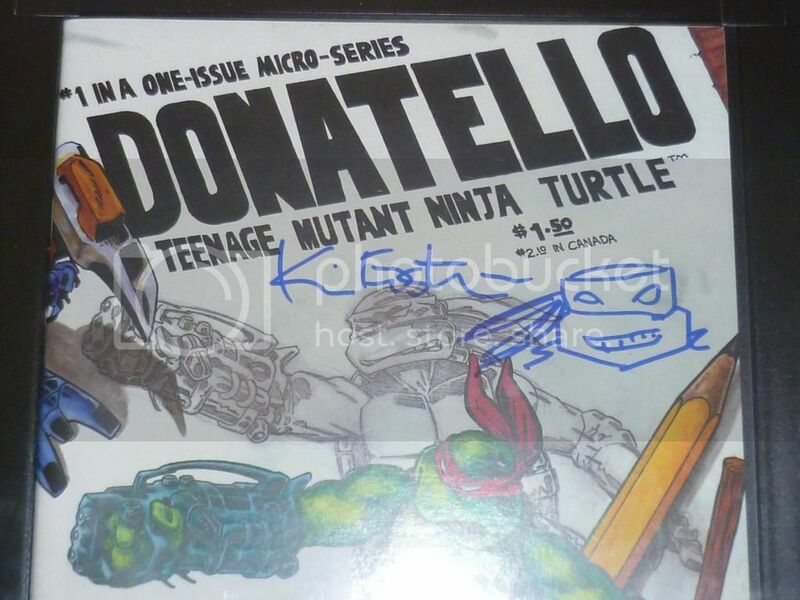 The only TMNT related guest I can see is Dave Wachter who did the artwork for the IDW villains Old Hob micro series story. 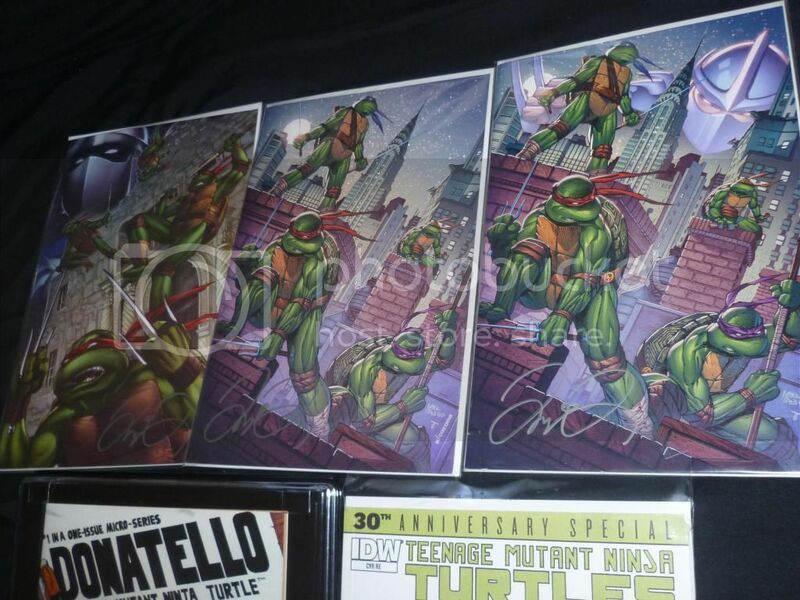 Anyone know if he's done any other TMNT IDW books? Not as far as I can tell. I had tried to get a commission from him in advance but his slots were booked up, so I'll probably get my mate to try and get something at the show from him. I will be attending Tricon on April 11 in Huntington, WV. Some IDW creative-types will be in attendance, including Tom Waltz, Cory Smith, and Paul Allor. I'm new to the IDW series and was wondering if you all could point me to appropriate issues for these gentlemen to sign. -Issues they are involved in? -Cool cover screaming for a signature? 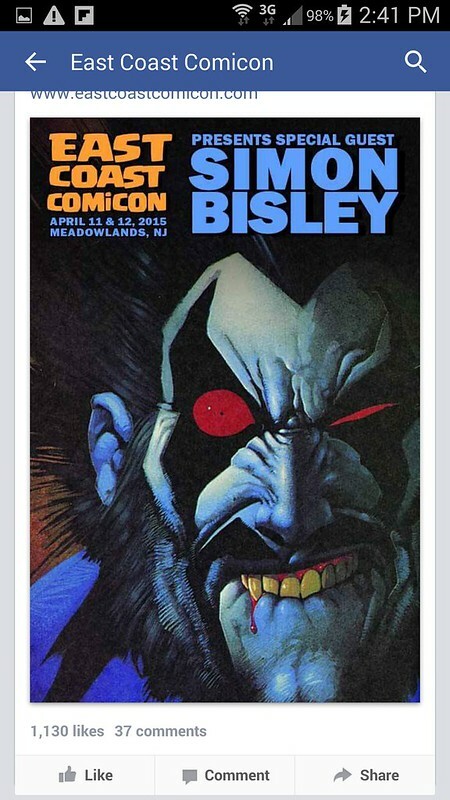 Anybody going to Motor City Comic Con next month that might be able to help me get a #45 Bisley cover?